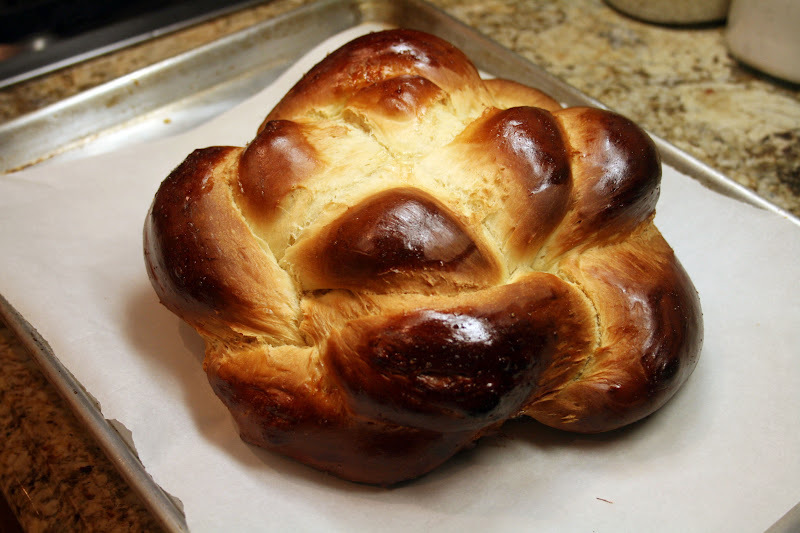 Challah (pronounced: 'holla') is a type of bread that is very dear to my heart. While I might be quite far from technically being a Jew, I love my matzo ball soup, challah bread, and holy hell, never let me into a Jewish deli with a wad of cash. My level of self control around these types of foods is low. Being that I am half Chinese, a quarter German, and the remainder Slovak you might wonder where my love of Jewish food came from. To sum it up quite simply, I'm just a good New Yorker. I come from the land where you ask for schmear* on your hollowed out, toasted bagel and you get a bagel that's been dug out with the deli guys thumb, toasted, and loaded with cream cheese (schmear). Basically, life is pretty fantastic. There's matzo ball soup to cure your hangover, gefilte fish if you're secretly a Jewish grandmother, and unlimited amounts of pickles. New York aside, while living in Pittsburgh I ironically settled in one of Pennsylvania's largest Jewish communities: Squirrel Hill. Yes, it has over 20 synagogues. And yay, for Jewish delis, I don't think I could have gotten out of university alive without them... nasty hangovers are nasty. Now I live in a Jewish neighborhood in Los Angeles. It's crazy, I didn't even plan it! This means I can stop by the bakery and pick up some hamentashen to go with my morning coffee and drool over the fresh challah coming out of the oven. 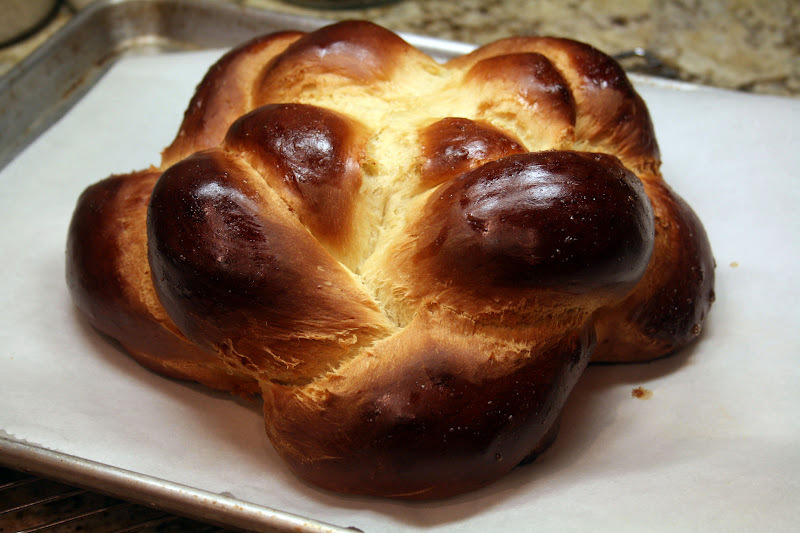 I'm living a pretty awesome kosher-foodie life at the moment, but when I lived in Charlotte, North Carolina, there was not a loaf of challah to be seen for miles. Actually, it was a 35 minute drive to some sketchy place that over charged for matzo balls. Lame. It was during this time that I discovered the ease of making your own challah. Yes, fresh, hot out of your oven challah. This weekend I decided to try my hand at it again and I must say, the tasty outcome did not disappoint. I followed Smitten Kitchen's recipe for Apple Honey Challah and skipped the apples and sugar. The challah itself is really fun to make and the braiding is surprisingly simple for the amount that it will fascinate your friends. My only tip is it make sure that your yeast is not expired! I had a faulty yeast packet for the first loaf I made... luckily dense, unleavened challah makes awesome bread pudding. One other thing to keep in mind is that challah actually makes the world's best french toast. Hands down. The key is to slice it thick and let it soak up all the egg/vanilla. Yum. *Schmear is Yiddish for spread. If you look at a map of the distribution of Yiddish speakers in the United States, you'll see the New York state has the highest density. I thank Wikipedia for that fun fact.